I heard this proof text used today from Jesus' sermon on the mount in Matthew's gospel , Matt.5:17-18 “Do not think that I have come to abolish the Law or the Prophets; I have not come to abolish them but to fulfill them. For truly I tell you, until heaven and earth disappear, not the smallest letter, not the least stroke of a pen, will by any means disappear from the Law until everything is accomplished." 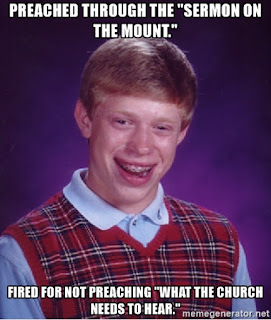 This occurs in the same message where he overrides Moses' eye for an eye teaching. I have two Bible stories for you. One day the Israelite people are camped on the border of the country of Moab. They were getting along swimmingly and romance blossomed. Moses, their leader, was upset because the Israelite men were enjoying not only Moabite ladies but their tribal god as well. Moses hears his God tell him to kill all the leaders who tolerated this behavior. Moses orders his priests to kill the offenders. Just then some Israeli dude and his Midianite (another tribe) girlfriend walk into his tent before Moses and his priests. One of the priests, Phinehas, took Moses literally and walked into the guys tent with a spear and skewered the two of them. Apparently this stopped some sort of plague going through the camp. Moses tells them God totally approves and honors Phinehas for his great deed and God wants them to kill all the Midianites. It's all in Numbers 25. In the series "Not everything biblical is Christian" I've stayed on Bible texts specifically. For those who know the lingo, I have been proof-texting, pulling up a text, contrasting it to the life of Jesus and "proving" that they are in tension and resolving it by giving Jesus the final say. This post is different in the lack of a Biblical text. 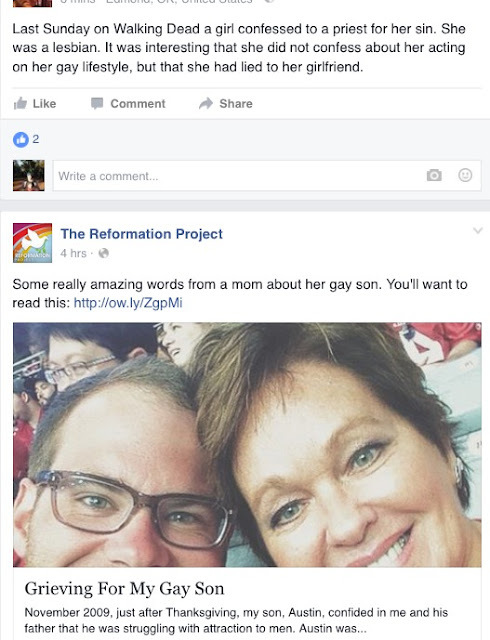 Instead I have included a screenshot from my Facebook timeline, about a month ago, with two different approaches to homosexuality, the way of the law and the way of love. I have lived most of my Christian life with the focus on the former, so I completely understand where the first writer comes from. Yet I have come to embrace the way of love and grace. So the day these posts appeared in juxtaposition I saw myself in two acts. Act 1: the letter of the law, a Javert. Act 2: the way of love. not even a Jean Valjean, even less a little Christ. The law is fixed. Love ever expands.